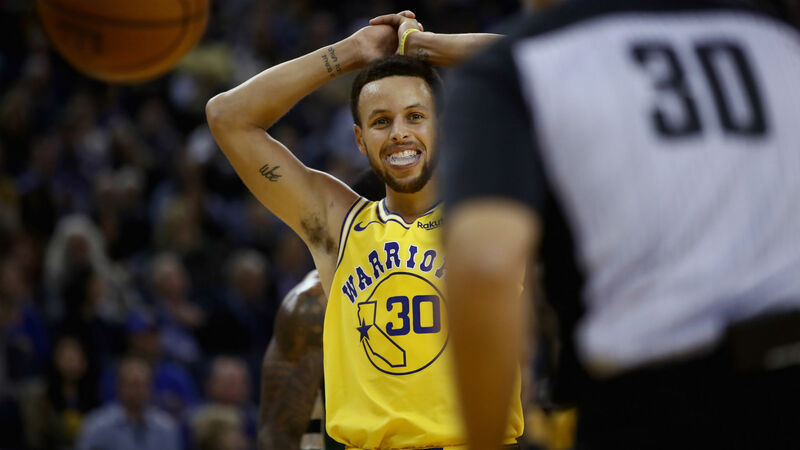 Stephen Curry will miss the Golden State Warriors clash with the Brooklyn Nets on Saturday but Steve Kerr has provided a positive update on his condition. Curry suffered a groin injury in the defeat to the Milwaukee Bucks on Thursday and will not feature against the Nets. Kerr is optimistic the former MVP will be back before too long after encouraging scan results. "It's kind of something we’re going to evaluate over the next few days. He’s still sore. "The MRI was encouraging, so it’ll be kind of a day-to-day thing. Obviously, we won’t do anything crazy. He’s going to be out until he’s healthy and ready to go." Kerr has sustained the injury several times himself, and says the biggest thing to overcome is lateral movement. “You get that tweak on the inside of your thigh and the lateral movement becomes difficult," he said. "So, we’ve got to get the movement and the strength back in it before he can go out and play. It’s going to be at least a few days before he even gets back on the floor."